It‘s the starting signal for Amazon‘s push into Southeast Asia. 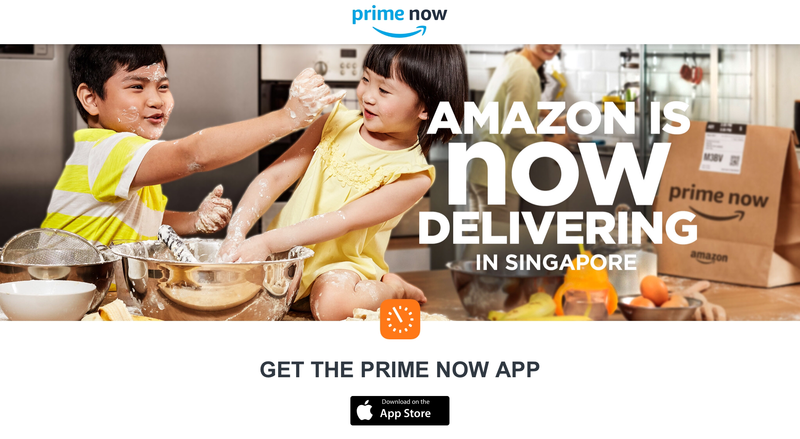 Amazon launches Prime Now in Singapore. While Amazon already delivered to Singapore, higher-end services had not been available, including Prime subscriptions which provide access to the company’s video-streaming service. The Prime Now Singapore app promises to deliver everything from Tiger Balm ointment to eggs, hammer drills and Pampers nappies within two hours. The service is free for orders that cost at least 40 Singaporean dollars ($29). For an extra 10 Singaporean dollars ($7.37), shoppers can get their goods in an hour. Singapore makes perfect sense for Prime Now: A small but wealthy city state (5 million people) is logistically a walk in the park compared to most of the rest of the Southeast Asian region, consisting of 600 million people and and almost as many islands. Only 6.5% of retail in Singapore is online, compared to 25% in China and 16% in the U.S.
“Singapore will be a test bed,” said Ajay Sunder, vice president of digital transformation at Frost and Sullivan. ​Amazon‘s push into the region does not come as a surprise. LiveUp is aimed at “online lifestyle natives”, as the companies call them. Customers who do a lot of different things online. LiveUp is available in Singapore now. The companies already plan to expand the service to other countries. It makes sense to roll this out fast: Bringing LiveUp to South-East Asia before Amazon launches its services and Amazon Prime in those markets brings with it a significant first-mover advantage. In Indonesia, Lazada is competing with JD.com, which may try to buy its way into the market with acquisitions. ​Alibaba recently spent another $1 billion to boost its stake of Lazada to 83%.